How long will my child need swim lessons? That depends on numerous factors, including the child and their comfort level and how much extra practice the child receives outside of class time. 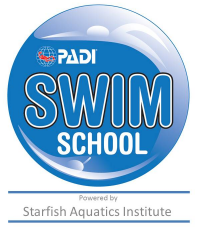 We will be able to provide a more accurate gauge during the in-water evaluation during class, but any time frame given will solely be an estimation. Can I get an in-water evaluation? Yes - it happens on the first day of class. We do not offer in-water evaluations to non-students. Swimsuit, towel, goggles and hair ties. A dry set of clothes to change in to after class if you so desire. What if my child cries/is afraid? This is normal behavior, and very common until a routine and trust with the instructor are established. Your best course of action is to give your child a hug and walk away. Tears are never fun to watch, but we encourage you to be patient and let a trust build between your child and the instructor. Our instructors/Program Director are trained in handling these situations and have the child's best interest at heart. We will try to accommodate requests, but scheduling and child development will be the determining factors. Will the instructor be the same for the entire session? We will do our best to ensure your instrctor stays consistent throughout the six week session, but if we have an instrctor illness or vacation, a substitute instructor may be required. Will my children be in the same class? This depends on the children's age, skill level, schedule and class dynamics. No refunds will be given once a session block has started. You can cancel or transfer with no penalties with at least 3 days notice from start of the first session in a six week block. Are there any make-up sessions if my child misses class? No refunds or make-up sessions will be offered for missed classes. 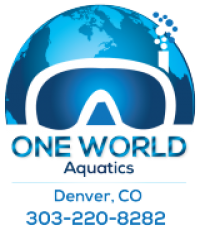 If One World Aquatics must cancel a class, either a refund or make-up session will be scheduled.